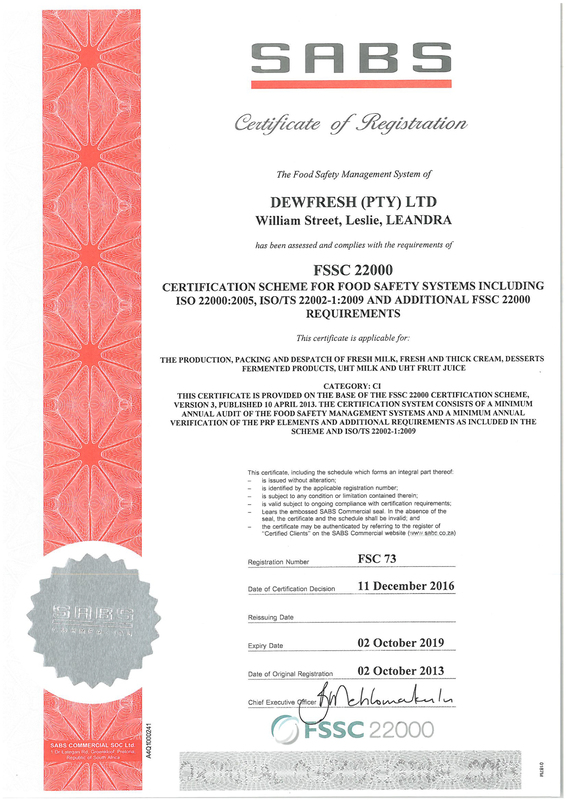 Dewfresh Products (Pty) Ltd. was established in 1973. This action was a result of the consolidation of all the various businesses of the Grobler family in the Dairy & Fruit juice industries which operated as independent units some going back to 1951. The company is still wholly owned by the Grobler family and the current Chief Executive is the son of the founder of the original business. Over the years the main business has been Fresh Dairy Products and Fruit Juices which has been marketed under various brands to all the major chain and convenience stores. All the products manufactured were marketed through the cold chain with the limitation of a short shelf life. The company is in the fortunate position that all manufacturing & distribution functions are done in-house. No third party is used at any stage & therefore ensures total control over the process from production to the final purchase by the consumer. This further ensures quick reaction times in any unforeseen situation & management decisions can be taken and implemented in a very short period of time. A complete on-site laboratory ensures that sampling of all products occurs every fifteen minutes and that samples in the incubator are tested regularly. 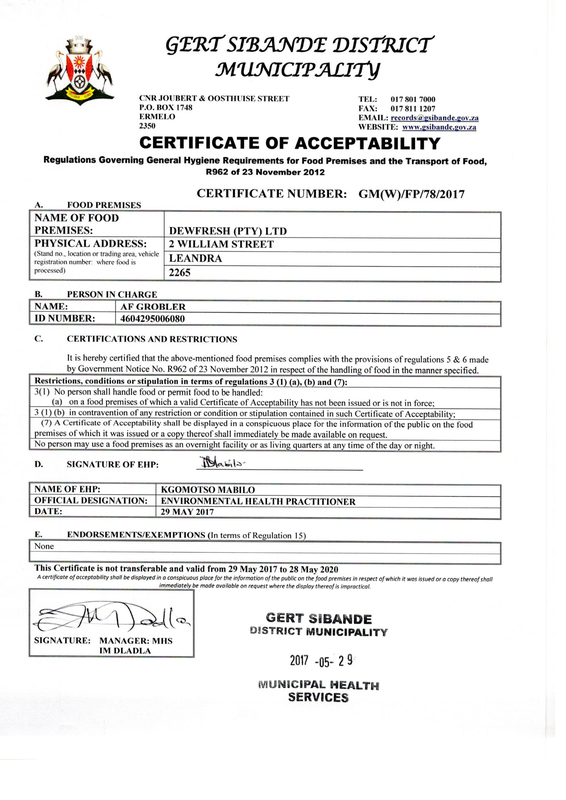 Both factories are accredited with food safety certifications. 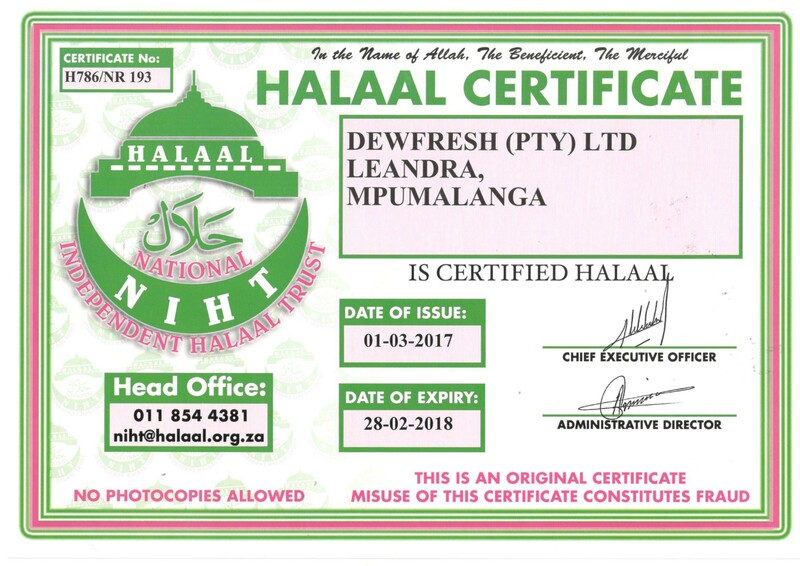 Dewfresh have been supplying all the main supermarket chains and convenience stores in South Africa for many years. The products supplied are under our own brands as well as store private labels. 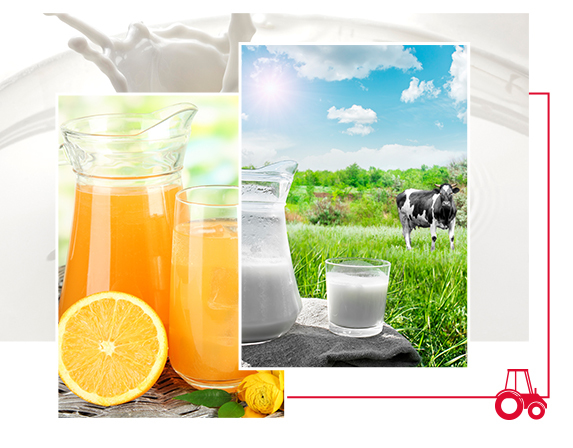 Exports Dewfresh has been exporting products to a number of countries like Africa, Asia, North-America & Europe.